Terry Cohen joined Saunders & Associates as one of its first agents and since then she has participated in real estate sales exceeding $1 billion. Ranked in the top 1% of agents nationwide by the Wall Street Journal, Terry knows that buyers are smarter than ever, and to best serve their needs, Terry believes it’s essential to respect the buyer’s knowledge, to understand each client’s unique needs, and to thoroughly understand the properties she represents. Her integrity and loyalty have earned her repeat customers and personal relationships that endure well beyond the closing of the sale. An Ohio native who studied chemical engineering at Ohio State University and the University of Arizona, Terry worked for a chemical company, where she ultimately handled marketing and sales in its Washington, D.C., office. She later moved to Manhattan to work for her family’s thriving business in the Garment District. 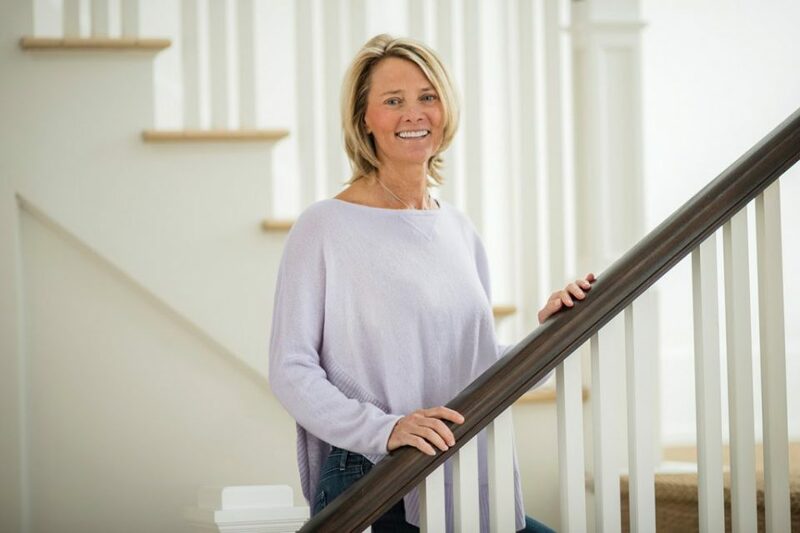 After a while she thought transitioning into real estate was a natural fit, having excelled at customer service and marketing over the years. Terry moved to the Hamptons in 2000. She is a mother of two and an avid sports enthusiast. Take a peek at one of her featured properties. It’s a wow-za! On the premier lane in Sagaponack South, this impeccably crafted new estate is from Michael Davis, a Hamptons master builder for 30 years. This home expresses Davis’s English country-style sensibility perfectly blended with modern finishings. The unique location is surrounded by views of farm field reserves on three sides and ocean views from both first and second floors, enabling a sense of indoor and outdoor space, with the quintessential serene feeling of Sagaponack. Complemented by a thoughtful landscape plan, the elegant lines of the home draw the eye. Open light-filled interiors in a palette of muted grays, blues, and soft whites have a restful vibe, with fine precision millwork and expanses of glass doors and windows merging indoor and outdoor living spaces. Enter from the foyer to the great room with living room and fireplace, then flow to the family room with fireplace, dining area with custom wine wall, and chef’s kitchen that features custom-paneled cabinetry, oversized island, and professional grade appliances. The first floor includes a junior master suite with ocean views. The eight bedroom suites include the breathtaking master, featuring a generous bedroom with fireplace, private ocean view terrace, sitting room, and his-and-hers closets and baths. In addition, the rear deck off the master overlooks 43 acres of protected agricultural reserve and faces west for sunset views. Three additional bedroom suites complete the second floor. The finished lower level has three more bedroom suites, a media room, bar, additional bath, laundry room (served by a laundry chute and with double washers and dryers), a second mudroom, and storage space. An elevator serves all three levels. Outdoors, enjoy living on the covered porch with TV and fireplace. Amenities include a heated 20’ x 50’ saltwater gunite pool and 8’ x 8’ spa with automatic cover, pool house with living area or gym, pergola, sunken all-weather Deco Turf II tennis court, and extensive bluestone terraces with a built-in barbecue. Home automation and Lutron low-voltage lighting is throughout. Priced at $18,950,000.